The Sims 3 Date Night (Origin Key Free Region ROW 95 р. The Sims 3 Date Night (Origin Key/Region Free) 100 р. The Sims 3 Master Suite Stuff steam gift RU CIS 125 р. The Sims 3 Fast Lane Stuff DLC - Origin Region Free 125 р. The Sims 3 Outdoor Living Stuff DLC Origin Region Free 135 р. The Sims 3 High-End Loft Stuff (Каталог) DLC / STEAM 149 р. The Sims 3 Outdoor Living Stuff (Каталог) DLC / STEAM 149 р. The Sims 3 Diesel Stuff (Каталог) DLC / STEAM / RU/CIS 149 р. The Sims 3 Master Suite Stuff DLC - Origin Region Free 149 р. The Sims 3 Movie Stuff (Каталог) DLC / STEAM / RU/CIS 189 р. The Sims 3 70's, 80's and 90's (Каталог) DLC / STEAM 199 р. The Sims 3 Скоростной режим Fast Lane DLC (Origin ключ) 199 р. The Sims 3 Fast Lane Stuff (Каталог) DLC / STEAM/RU/CIS 199 р. The Sims 3 Кино Movie Stuff DLC (Origin ключ) 199 р. The Sims 3 Изысканная спальня Suite DLC (Origin ключ) 199 р. The Sims 3 - Origin Key - Region Free + АКЦИЯ 249 р. The Sims 3 Town Life Stuff (Каталог) DLC / STEAM/RU/CIS 249 р. The Sims 3 Generations DLC - Origin Region Free + АКЦИЯ 285 р. The Sims 3 Supernatural DLC - Origin Region Free 285 р. The Sims 3 Into the Future DLC - Origin Region Free 285 р. The Sims 3 Seasons DLC - Origin Key Region Free + АКЦИЯ 285 р. The Sims 3 Ambitions DLC - Origin Region Free + АКЦИЯ 285 р. The Sims 3 World Adventures DLC - Origin Region Free 285 р. The Sims 3 Pets DLC - Origin Key - Region Free + АКЦИЯ 285 р. The Sims 3 University Life DLC - Origin Region Free 285 р. The Sims 3: Изысканная Спальня (Origin KEY) + ПОДАРОК 295 р. The Sims 3: Изысканная спальня (Master Suite) Каталог 299 р. The Sims 3 Городская жизнь Town Life DLC (Origin ключ) 299 р. The Sims 3 (STEAM GIFT / RU/CIS) 299 р. The Sims 3 Island Paradise - Origin Region Free + БОНУС 299 р. The Sims 3 Кино. Дополнение Официальный ключ 340 р. The Sims 3 (Steam Gift / RU+CIS) 345 р. The Sims 3 Современная роскошь Loft DLC (Origin ключ) 349 р. The Sims 3 Diesel DLC (Origin ключ) 349 р. The Sims 3 - Generations / Все возрасты (DLC) STEAM 349 р. The Sims 3 Town Life Stuff DLC - Origin Region Free 349 р. The Sims 3: 70´s, 80´s and 90´s (CD-Key) 383 р. The Sims 3 - Ambitions / Карьера (DLC) STEAM / RU/CIS 399 р. The Sims 3 - Seasons / Времена года (DLC) STEAM /RU/CIS 399 р. The Sims 3 - Pets / Питомцы (DLC) STEAM GIFT / RU/CIS 399 р. The Sims 3 - Into the Future / Вперед в будущее (STEAM) 399 р. The Sims 3 Питомцы Pets DLC (Origin ключ) 399 р. The Sims 3 University Life / Студенческая жизнь (STEAM) 399 р. The Sims 3 - Showtime / Шоу-бизнес (DLC) STEAM / RU/CIS 399 р. The Sims 3 70-80-90ые DLC (Origin ключ) 399 р. The Sims 3: University Life ( steam gift ru ) 444 р. The Sims 3: Supernatural ( steam gift ru ) 456 р. The Sims 3 (Steam Gift RU) 498 р. The Sims 3: Изысканная спальня (Master Suite) Каталог 499 р. The Sims 3 - Island Paradise / Райские острова (STEAM) 499 р. The Sims 3 - Diesel (Каталог) - Photo 499 р. The Sims 3 Plus University Life - Steam Gift RU-CIS-UA 499 р. 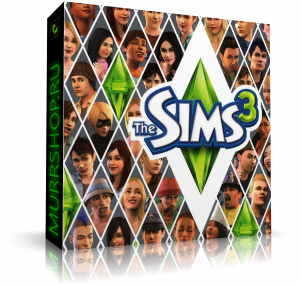 The Sims 3: Кино (Movie Stuff) Каталог (Photo CD Key) 499 р. The Sims 3: 70's, 80's and 90's (CD-Key) Каталог/Stuff 499 р. The Sims 3 - World Adventures / Мир приключений (STEAM) 499 р. The Sims 3: Монте Виста (Monte Vista) Доп (Photo CDKey) 499 р. The Sims 3 ( Steam Gift | RU+KZ ) 539 р. The Sims 3 (Steam, Gift, RU/CIS) 555 р. The Sims 3 Райские острова Island DLC Origin ключ 599 р. The Sims 3 - Supernatural / Сверхъестественное (STEAM) 599 р. The Sims 3 - Late Night / В сумерках (DLC) STEAM/RU/CIS 599 р. The Sims 3 В сумерках Late Night DLC (Origin ключ) 599 р. The Sims 3 Времена года Seasons DLC (Origin ключ) 599 р. The Sims 3 Сверхъестественное Supernatural DLC Origin 599 р. The Sims 3 Студенческая жизнь DLC (Origin ключ) 599 р. The Sims 3: Seasons ( steam gift ru ) 599 р. The Sims 3 Вперед в будущее Into the Future DLC (Origin 599 р. The Sims 3: Seasons ( Steam Gift | RU+UA+KZ ) 629 р. The Sims 3 Шоу-бизнес Showtime DLC (Origin ключ) 699 р. The Sims 3 Plus Pets Steam RU UA CIS 786 р. The Sims 3 Вперед в будущее (Into the Future) +ПОДАРОК 789 р. The Sims 3 Дрэгон Валли Дрэгон Вэлли DLC (Origin ключ) 799 р. The Sims 3 (Steam Gift Region Free / ROW) 849 р. The Sims 3: Студенческая жизнь (University life) Доп 999 р. The Sims 3: Вперед в будущее (Into the Future) DLC 999 р. The Sims 3: Шоу-бизнес (Showtime) Photo CD-Key 999 р. The Sims 3 Plus Showtime (Steam Gift Region Free / ROW) 1 199 р. The Sims 3 Plus University Life (Steam Gift Reg. Free) 1 299 р.